It’s time for Star Wars Weekends at Home: Episode II! 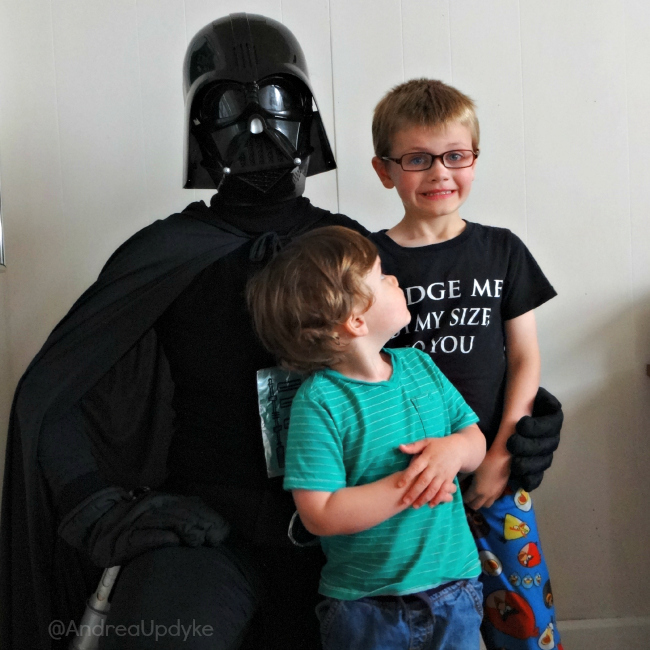 If you missed last week, be sure to check out the fun we are having at home following along with Disney’s Star Wars Weekends. Today, it’s all about the character breakfast! This year, Star Wars character dining was added to the list of special events happening during Star Wars Weekends. I really hope they keep this up because based on our home experiment, I know the boys will love it! The wheels started to fall off a bit for my family because Oscar thought my costume was so awesome he wanted it. Like as in right now thank you very much! Ultimately we had a good time and even grabbed a few photo-ops before I passed the lightsaber on to the next Sith Lord. You may want to keep that in mind when planning your own character breakfast. Costumes for everyone! 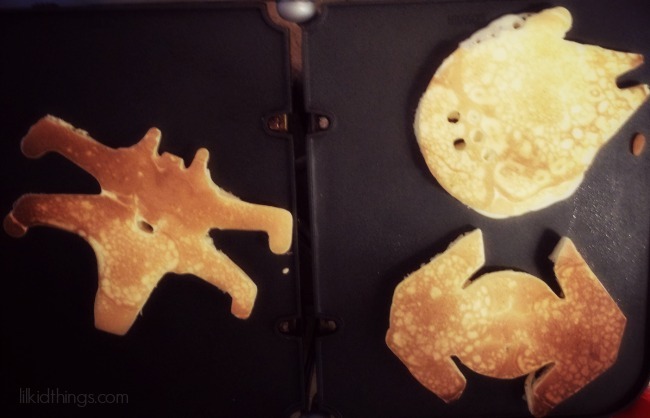 Fire up the griddle for some Star Wars pancakes (we used this set from Williams-Sonoma) and while one parent keeps track of the kiddos, the other one can disappear for a quick change. Cue up the music and it’s just like being at Disney World! Well, almost. I wasn’t sure how the pancake molds would work out, but we had some great success! 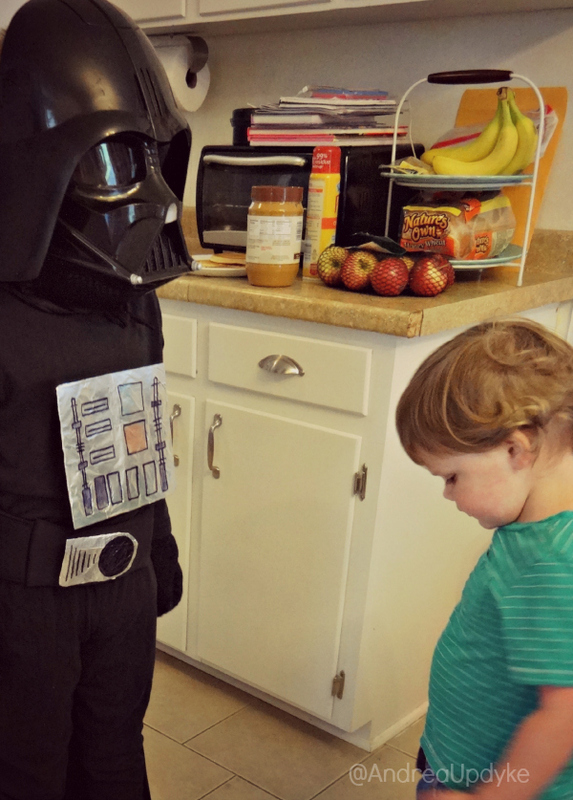 Of course Oscar chose Darth Vader’s Tie Fighter pancake, which was all too fitting for the theme of our day. Don’t forget the photo ops – always one of my favorites at Walt Disney World. We found a blank wall and I tried my best to stay in character. I will say, it’s harder than I thought! Mad props to all the people who do this every day. If we had more time and were all in costume, I can see lots of really great photos in the yard. Believe me, they are epic in my mind. Which brings me to…. For my Darth Vader chest plate and belt buckle, I cut shapes out of cardboard from a popcorn box and covered it with foil. I found that Sharpie markers were the only type of marker that didn’t rub off when drawing the buttons and belt. 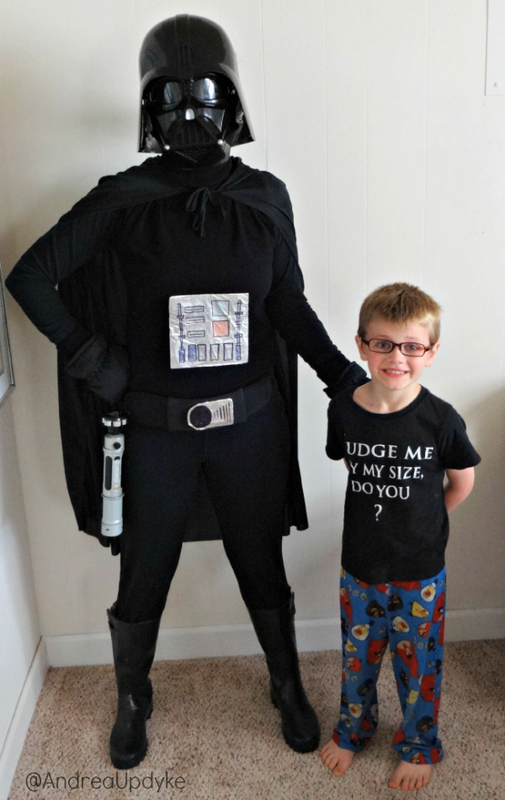 We already had the Star Wars Darth Vader Voice Changer Helmet (affiliate) and everything else other than the cape (which I bought on Amazon – affiliate). It worked out great because once I was done, I could easily transfer the main parts of the costume for Oscar’s continued (and continued) use. Calvin was on board with this decision. All in all it was an awesome way to bring Star Wars Weekends home! Have a fun way to bring Star Wars Weekends home? Share it here! 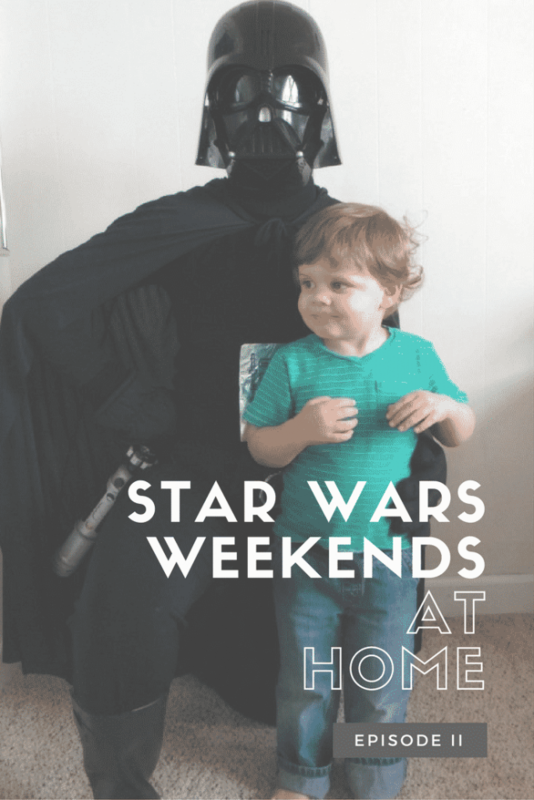 Check back here and on Twitter with the hashtag #StarWarsAtHome every Friday during Star Wars Weekends to get a new Star Wars Weekends at Home idea! And if you are lucky enough to go to Walt Disney World during this time, I’d love to hear all about your trip!